The holidays are a wonderful time to celebrate with our family and friends, but all of the festivities can come to a screeching halt when it comes to drinking and driving. With so many people travelling on the roads to and from holiday parties, the risk of drunk driving accidents dramatically increases. More than 17,000 people die and roughly a half million are injured every year as a result of alcohol-related accidents, and unfortunately, almost every year Texas leads the nation in the most drunk driving accidents. While Texas law currently prohibits sobriety checkpoints, also known as DWI (Driving While Intoxicated) or DUI (Driving Under the Influence) checkpoints, law enforcement are still on particularly high alert for potential drunk drivers during the holidays. There are also substantial lobbying efforts underway to change the law to allow for DWI checkpoints, so its important to know what to expect should they be instituted. Driving under the influence not only puts the safety of you and others at risk, but if you are pulled over when your blood alcohol content (BAC) is above the state legal limit (.08), you could face license suspension, major fines and even jail time. Dont Drink Alcohol and Then Drive  This one may seem fairly obvious, but one sure fire way to avoid a DWI is to skip alcohol all together when youre driving. Even if you think youre fine to drive after a few drinks, the officer that pulls you over may disagree. Portable breath testing devices, laboratory blood tests, and even law enforcement judgment are all prone to potential error when determining someones level of sobriety. Its best to avoid the situation entirely and volunteer to be a designated driver for your friends or save the drinking for times when you have a designated driver or can take a taxi. If You Must Drink, Be Smart  Keep the number of drinks you consume to a minimum, and be sure to eat enough food to have a full stomach. The food will help to delay the absorption of alcohol and will help to avoid a spike in alcohol intoxication. Eating plenty of food shouldnt be much trouble during the holidays! Dont Rely On the One Drink Per Hour Rule – While it can typically take one hour for the body to absorb and eliminate alcohol from the bloodstream, this old adage doesnt always stand up. How your body metabolizes alcohol can depend on a variety of factorsincluding gender, body weight, body hydration and food consumptionand the speed of absorption can vary greatly from person to person. 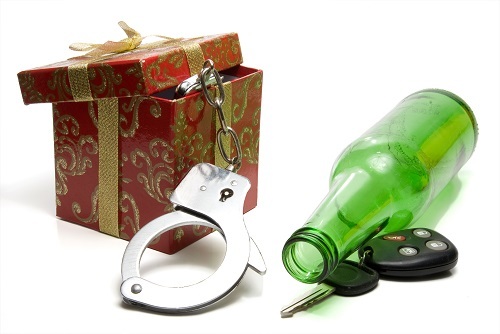 Following these tips and using a bit of common sense can help you avoid a DWI during the holiday season. Its important to keep in mind, though, that once a person starts drinking, their judgment becomes impaired and they may not make the smartest choices. Thats why its important to think through the evening ahead and make plans to avoid getting a DWI. If you have any questions about DWIs or any other legal concerns contact us today at Scheiner Law Group P.C.